Huge thanks to the Advanced Roofing for supplying materials to upgrade our pegs at Caudwell. Dave Shipstone worked very closely with Advanced Roofing who have donated superb materials to enable us to upgrade pegs at Cauldwell which will be really appreciated by all members that use this venue along with the team running monthly junior coaching sessions there. Many Thanks to all involved. Many Thanks again to our dedicated team of coaches led by Phil and the Environment Agency for providing continued financial support for coaching activities. Ashfield Angling Club in the Angling Times for getting more people fishing! 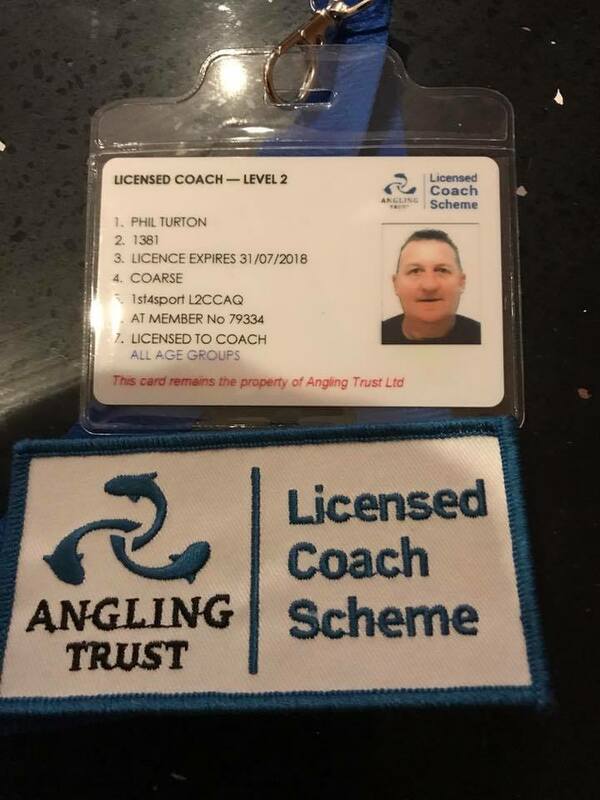 Massive congratulations to our large qualified coaching team led by our Chairman Phil Turton for being recognised by the Angling Times in making a large contribution in introducing more people to fishing, including many juniors. 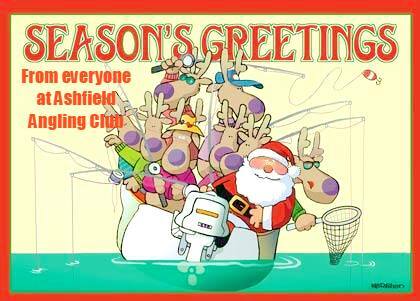 "Ashfield Angling Club has one of the largest coaching teams in the country, with 9 Level 2 coaches and 6 level 1 coaches under its belt". The AAC will be running multiple coaching courses for all discaplines of angling. 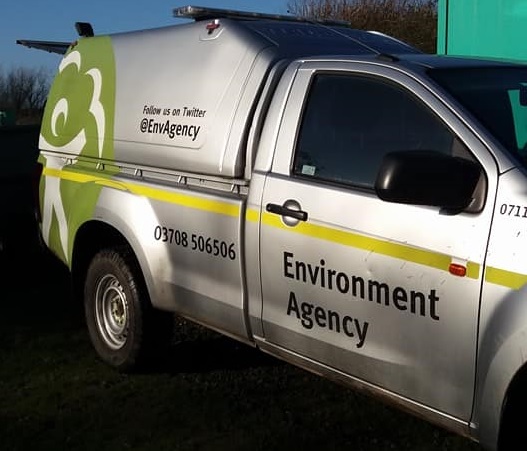 The AAC would like to thank the Environment Agency who have playing an important role in helping us acheive our coaching goals by providing many coaching bursaries. Another fantastic day Ashfield Angling club have been listening to members requests and have stocked the following in our lakes:. 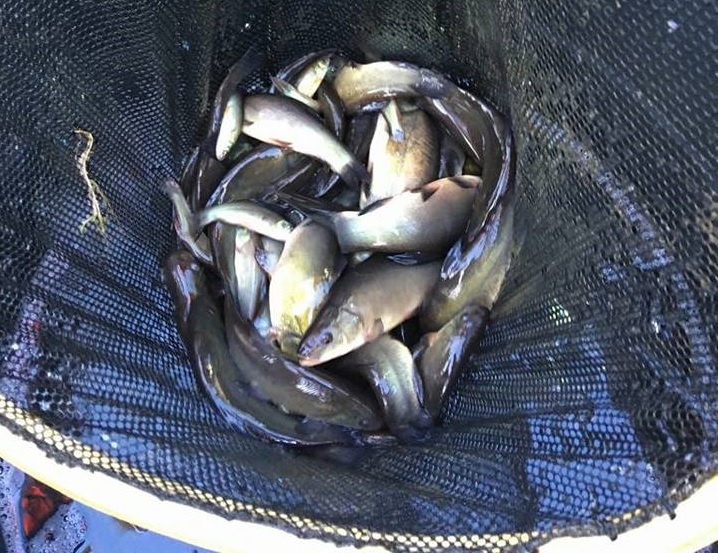 Tench Lake, Gunthorpe 750 x 6-8” Crucians and 100 x 6-8” Tench – After the successful netting programme on Tench lake this has given us the perfect place to stock and grown on these species. For some time now we have had predation protection in place over the pond and the bailiff’s/venue leads have fed back information on its success. These crucians have been sources from a ecognised pure breed supplier and the breeder is also a founding member of the course fish traders association. 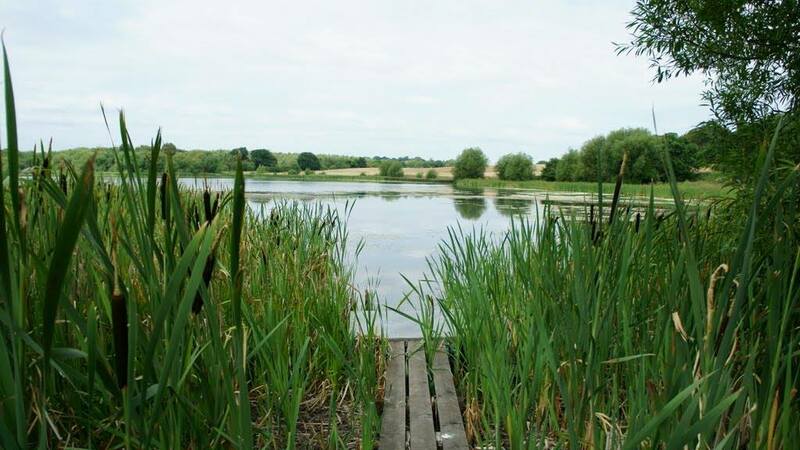 Thrumpton Lake 250 x 6-8” Crucians 100 x 6-8" Tench – Thrumpton is the classic Estate lake, an untapped jewel in Ashfield Angling’s crown of premier venues. There has been a massive amount of work already undertaken on this lake and the bailiff’s venue leads/Committee members should be commended for the countless man hours they have put in, there is still some work to do but it needs to be done in a timely manner so not to upset the aesthetics or eco system within the lake. Dollar – Gunthorpe 50 x 8-10lbs Carp – Gunthorpe is our specimen complex for all fish species from roach to carp. There has been a massive amount of work undertaken over the last few years and it’s truly inspiring to see the passion and dedication of the team down there, this is reflected in how much the venue has come on. 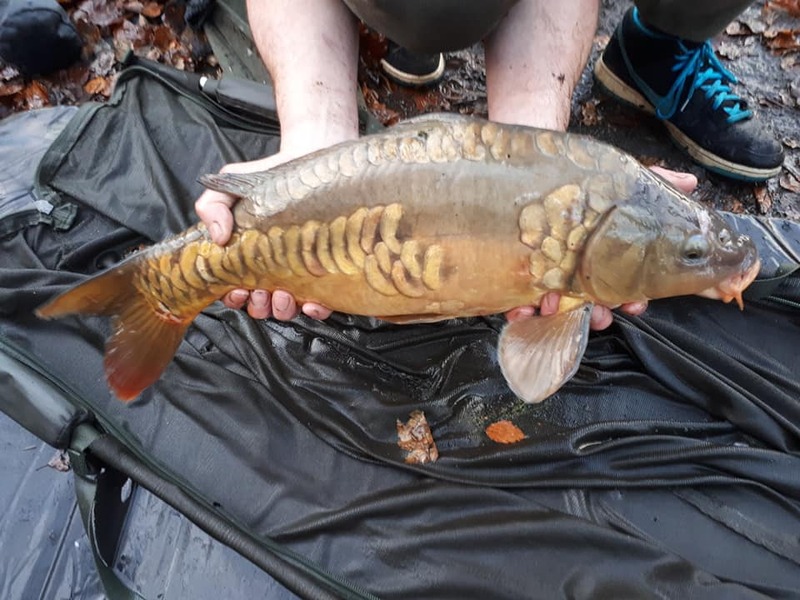 After much debate/advice from other fishery owners and suppliers we selected 8-10lbs carp as these offer the best value for our member’s money, reduced risk of predation and good growth rates. 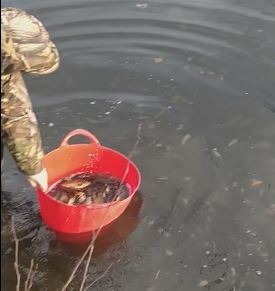 Some of the carp we have sourced put on around 6-8 lbs in their first year of stocking so within 12 months they will be mid to upper doubles and year two they can weigh over 20lbs. 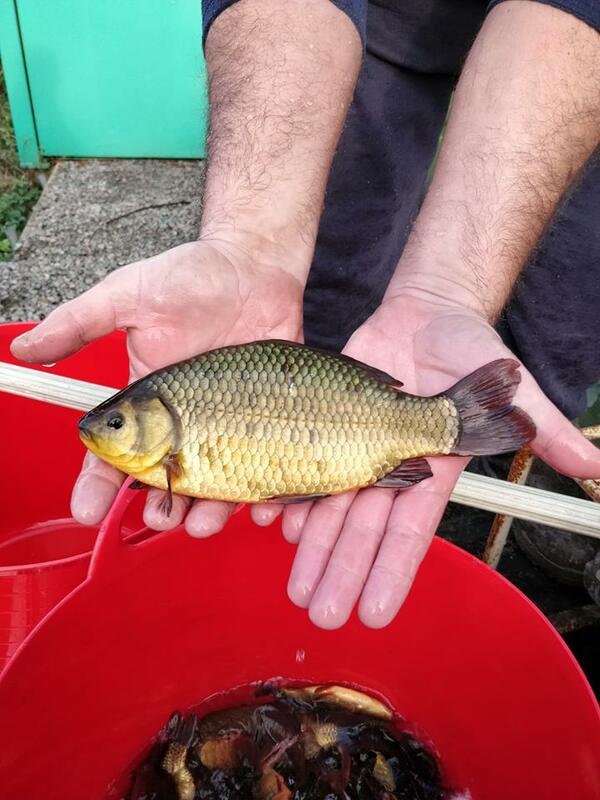 these carp have been sourced from a supplier with over 30 years’ experience of breeding carp and has an enviable reputation within the industry of breeding some of the best looking carp also. 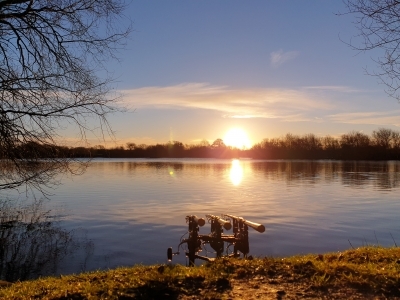 Nostell Priory 10 x 8-10lbs Carp - If you have never fished this venue we urge you to pay it a visit the team have undertaken a remarkable transformation of the venue’s pegs and bankside vegetation. 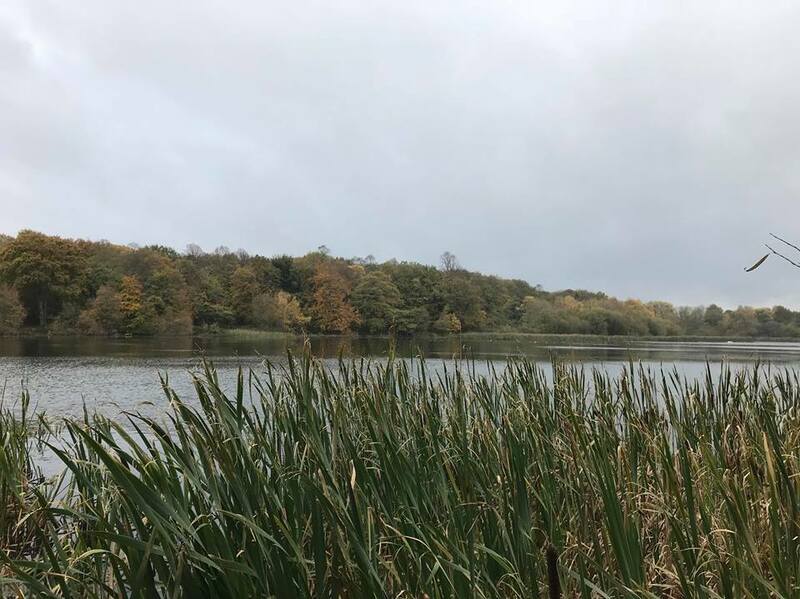 This venue once held the Yorkshire record carp of 43lbs 6oz and this show's it has the perfect eco system to grow massive carp and we expect these stockies to thrive ! So if your after specimen fish of any species I would defiantly add this venue to your 2019 plans. Bingham Pond We will be commencing the venue improvement plans for this place very shortly. There has been a massive amount of work undertaken by some of the Committee on the venue securing its future and access for this place so stay tuned for the updates! To view the latest Committee Minutes, log in and Click here . 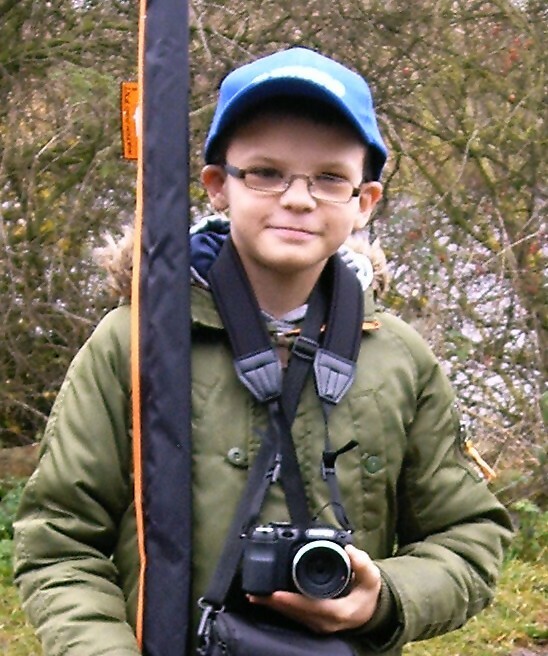 The Club and Junior Photo Competition for this year is ending on the 18th November, Its really easy for members to add photos to our facebook Page or Photo Album, these will automatically be entered into the Annual Club Photo Competition, just log in and click here. The winning club and Junior photos will be voted on by members on facebook, juniors get prises and the winning member will receive a years free membership :-). 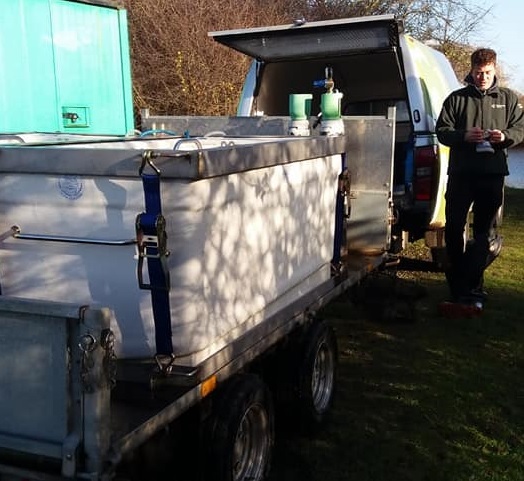 Ashfield Angling Club have met with the environment agency to take further readings and to discuss our own data that has been captured over the past week. 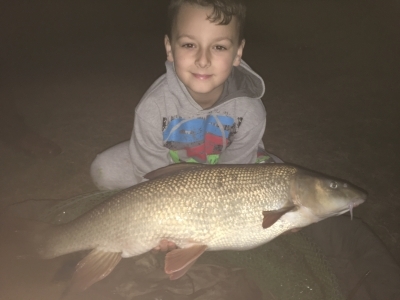 Due to the weather change and water temperature drop, we are seeing conditions improve for barbel fishing. We are now happy for members to fish for barbel, but extra care must still be taken with handling and release. Please also be aware that low pressure during thunderstorms will still be a danger to oxygen levels. 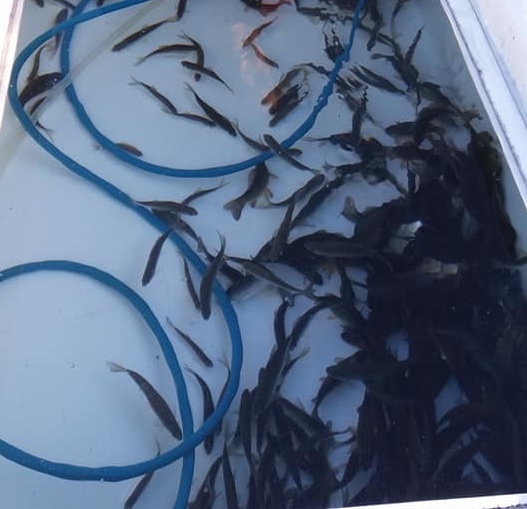 This isn't an exact science, we are trying to do what we feel is best for fish welfare, thank you for your support. 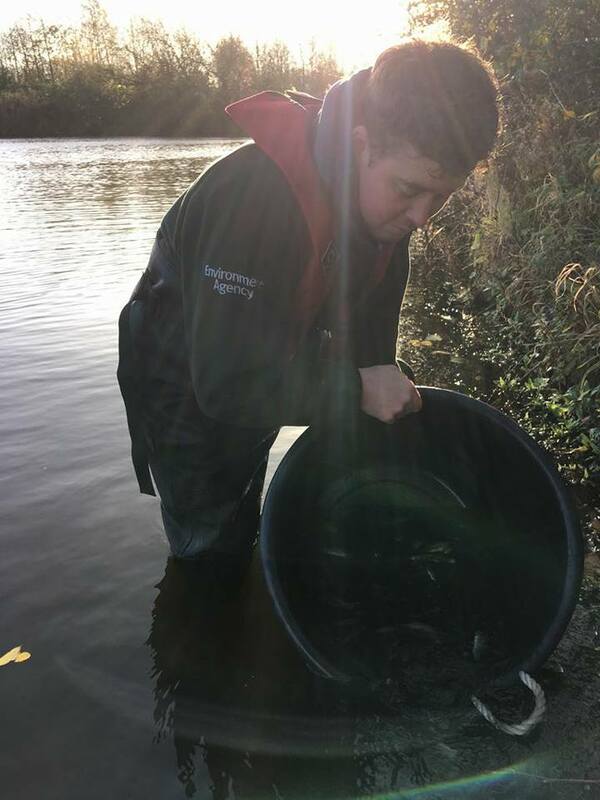 The committee and many of our members are all fully aware that the current increased temperatures and reduced oxygen levels have affected how barbel and chub, recover after being caught. 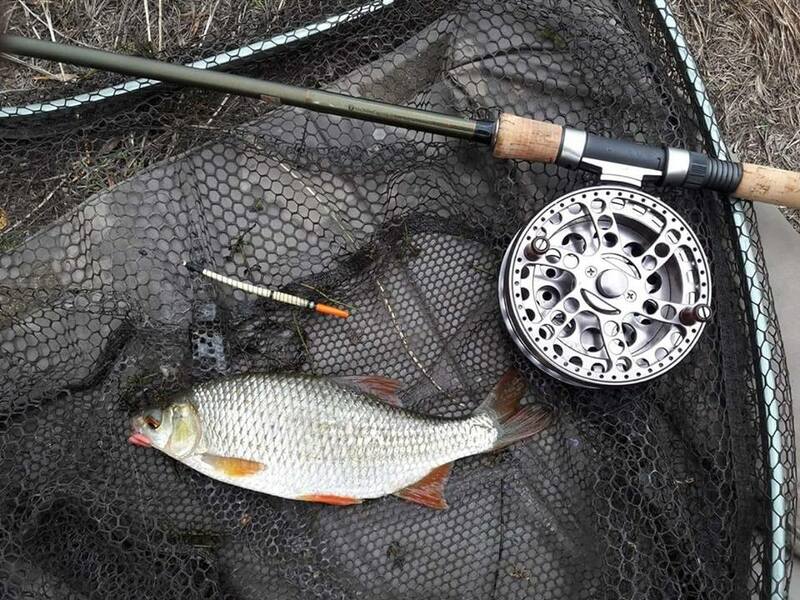 As we have waters below 3 wiers and are aware that our members target other species in our rivers, we will not be applying any blanket ban on fishing rivers however, we do advise members not to target these species at this time. The welfare and conservation of our fish populations is vitally important to us all. We continue to monitor this situation closely. Thx. 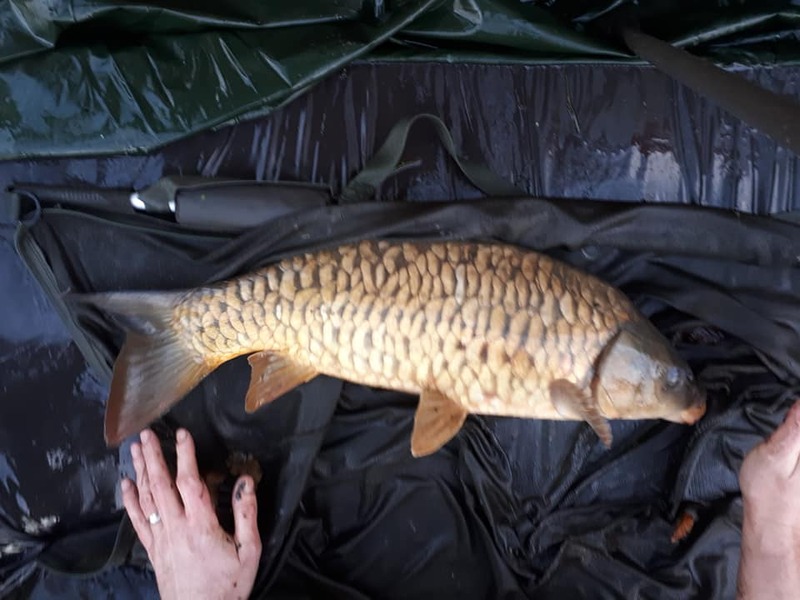 KHV HAS BEEN FOUND ON CARP IN A POND IN NEWSTEAD VILLAGE, THE POND IS ABOUT 4 MILES FROM CAULDWELL DAM AND HAS BEEN CLOSED TO FISHING. We have taken advice from the Environment Agency and due to the local KHV outbreaks we have banned the use of keep nets from all of our still waters until further notice. All landing nets, weigh slings, carp sacks etc. must be dry before being placed in to the water, preferably via sunlight. Please also be aware that damp stink bags can also carry the disease. It will be treated as a very serious offence should this restriction be broken due to the danger presented to the health of our fish stock. Thank you for your understanding, hopefully we will be back to normality in the near future. Koi herpesvirus (KHV) is a disease that affects all varieties of carp, is highly contagious and may cause up to 100% mortality. 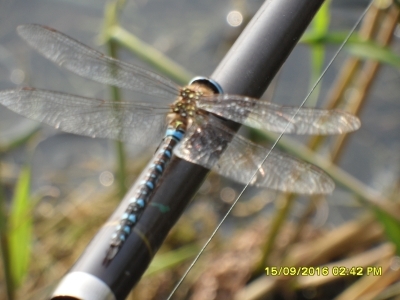 It can be transmitted by fish to fish contact and also via angling equipment and contaminated water. Signs to look out for include lethargy, damaged gills, sunken eyes, flaky skin mucus. If you see any carp displaying these symptoms please contact a bailiff or committee member asap. To view the Final Club Accounts and comparison to the previous 4 years, log in and Click here . To view the AGM 2018 Minutes, log in and Click here . 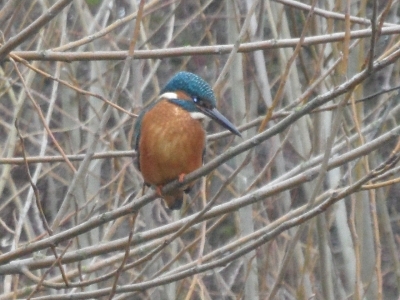 Peg buiding with scaffolding/boards, please come along bring waders/gloves,tools we will also be litter picking. All members welcome. Look forward to seeing you there. 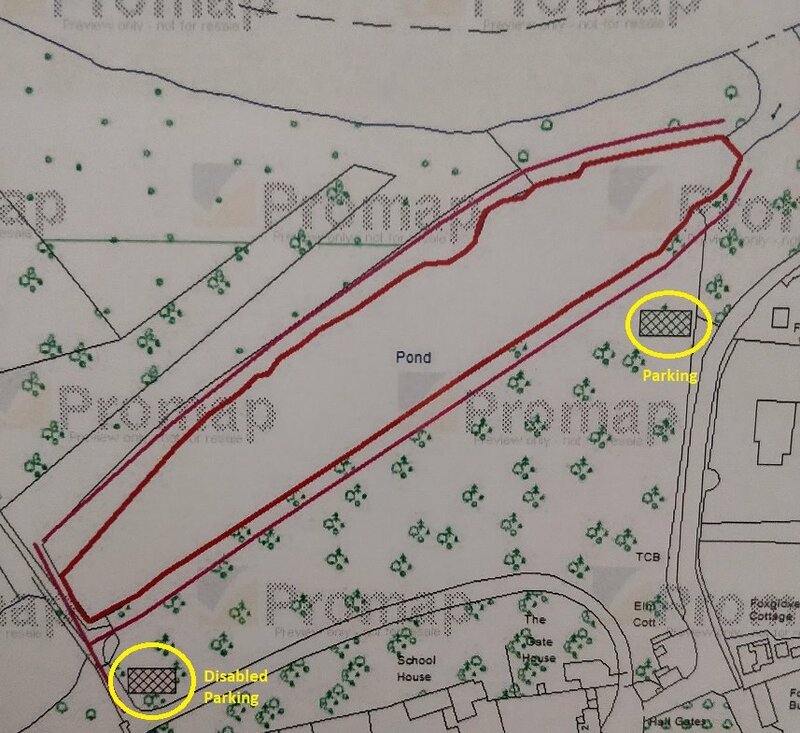 We have signed a lease to fish the bottom lake on the Thrumpton Estate, this will give us another closed season/still water venue on the West of Nottingham. The lake is very thin and will only have capacity for 6-8 anglers at a time but it has carp, tench, pike etc plus whatever has come in from this weeks floods! We cant fish the lake until April 1st, and we need to do some fallen tree removal to open swims up. Usual Estate rules apply, ie no night fishing and keep dogs under close control. Work parties will be arranged as soon as H&S assessment has been conducted and permission for works given from land agent. Are you on the Waiting List and On Offer? Notice: Winthorpe is currently flooded with no pegs available to fish. Members should always check the Noticeboard and Bailiff Venue Reports for the latest information about our venues, work party notifications events etc. 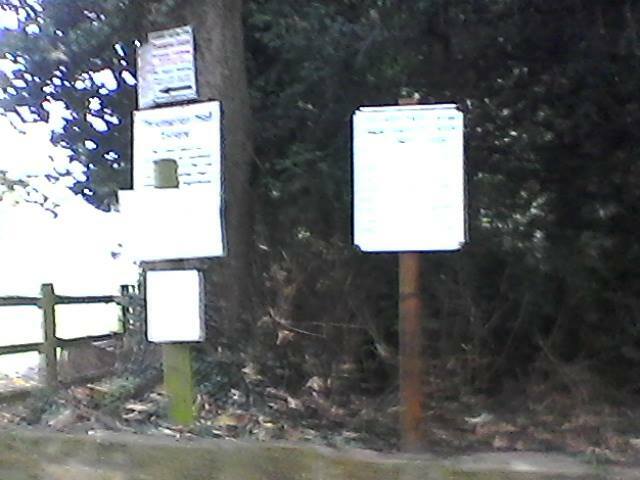 These are posted by our Bailiffs and Committee regularly are are the most up to date news. PLease log in and view them by clicking here and here . 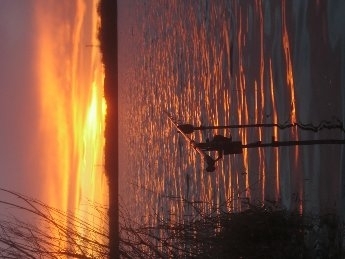 The AAC are please to announce that the Barbel Team PL/UK will be having a charity match for 22 anglers for 48 hours on the last Weekend of the Season Mar 9 - Mar 11 · at either Nelsons Field or Ferry Farm (depending on grass conditions) at Stoke Bardolph, Stoke Lane, Nottingham, NG14 5 - tight lines gents. The AAC are very proud to announce that one of our most productive venues has been chosen for the prestigious RiverFeast 2018 Competition - Burton Joyce (Day tickets are always available) - Some top England Anglers have entered the event initially scheduled for the 2nd September 2018 .The 24 qualifying matches will see 1,440 anglers competing for a shot at the £13,000 top prize from a prize pot of almost £40,000. RiverFest 2018 will see 10 main prizes in the final ranging from £1000 for 10th place, up to £13,000 to the winner. Six peg section prizes of £250 will also be paid out for both of the final days Click here for more information. We are excited to announce that we have just signed a lease on a new venue. 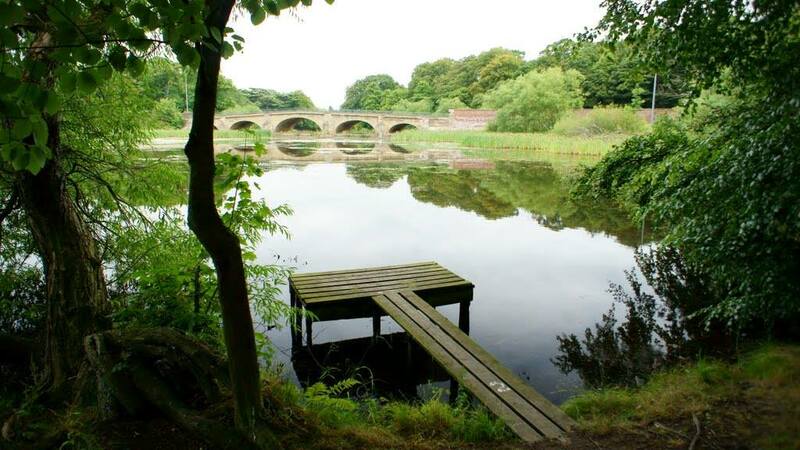 From 1st Jan 2018 we will be adding Nostell Priory Upper Lake to our ever growing list of fisheries. 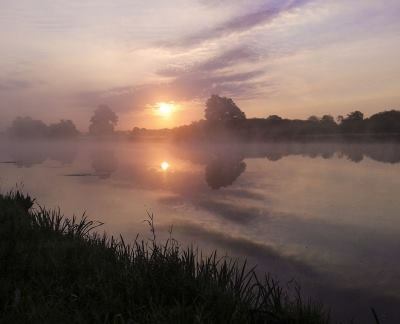 This is an historic estate lake of over 20 acres famous for big Carp, Tench, Bream and Pike and will give us added pegs for when the rivers are closed. 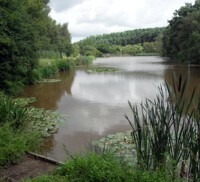 The lake is situated close to Wakefield which will be well situated for our many more northerly members. There is a huge amount of work to do at this Lake to restore it. We will be running work parties on a regular basis to tackle the undergrowth, peg building, reed removal etc. We know that there are weed and silt issues and have agreed to work closely with the estate to resolve these issues. This is an absolute gem of an Estate Lake which lake needs a proactive club such as ourselves to bring it back to its former glory. What a fantastic day, the Enviroment Agency and Ashfield Angling club have been working closely together to promote fishing and fish care on all of our waters. 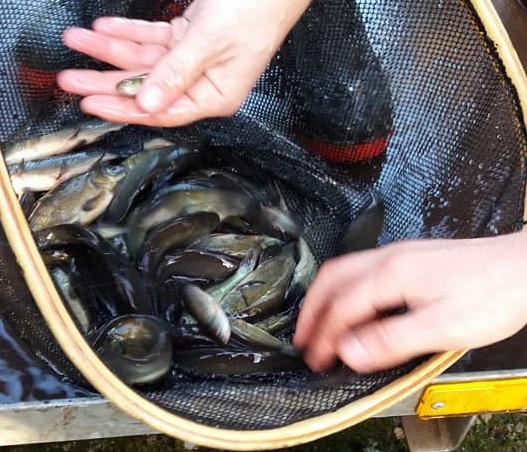 The EA have recognised this and have kindly agreed stocked 750 very healthy Tench into Tench lake on the Gunthorpe Complex. First coaching morning will be for KIDS, Adults are also very welcome if they wish to join in. The morning session will comprise of, Lure rod set up, Knot tying, Lure choice & types, Unhooking, Casting & fishing and FUN. If you are interested in signing up your youngsters for this please email the Club Chairman& I will provide more details. We do need an idea of numbers as this has to be fully regulated, Dads & Grandads (plus Mums and Grandma's :-)) it would be great if you could help is possible. AAC 2017 River Social 28/29th October. Please report any Litter/Waste being left on our waters. Please keep an eye out for any member leaving litter, waste(human or dog) on our waters and email the Club Chairman with details. This will not be tolerated and will result in an instant ban form the Club. From Phil: KIDS COACHING MORNING 14th or 15th OCTOBER (Venue TBA)... Finally my Coaching licence has come and we are set to go. July and August 2017 Committee Minutes Now Available. Notice to all Members: Under no circumstances are members allowed to use or bring chain saws onto club venues unless specifically authorised in writing by the committee and are a member of an official work party with a venue specific Risk Assessment in place . Additionally no members must carry out adjustments or alterations to pegs/swims and venues unless agreed by the by the committee or as part of an official working party (Section B. GENERAL RULES FOR ALL MEMBERS rule 14) The use of ‘light strimming’ equipment is permitted however,members are made aware that the club cannot be responsible for any injury or damage to equipment where the work has not been agreed by the committee. We ask all members to ensure that they read the clubs updated Health and Safety Policy here . To view the work parties over the next few weekends please log in and click here . 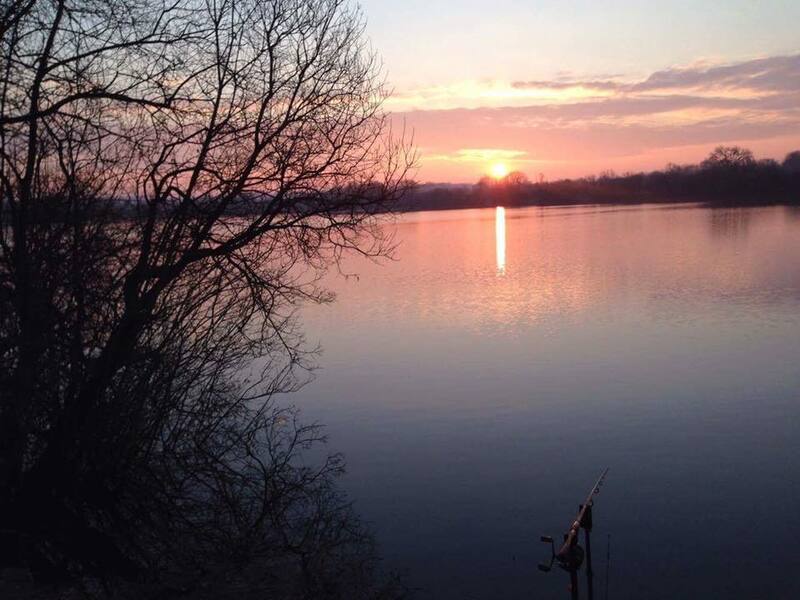 To view the updated Club Fishing Rules please click here . To view the AGM 2017 Minutes, log in and Click here . Many Thanks to Phil Turton who has spent another half a day on site at Gunthorpe, Phil has got the locks boxed in by a fabricator. 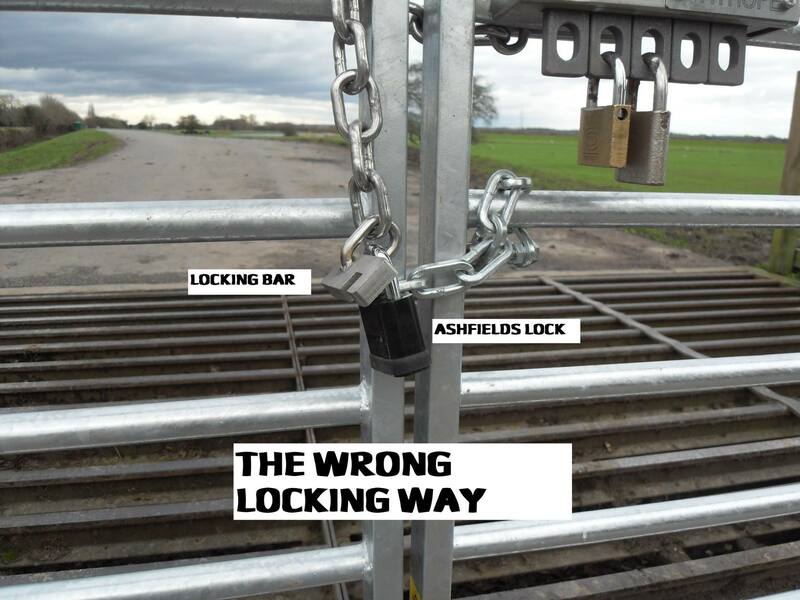 Members are reminded that they must lock the gate behind them (unless its locked back by the farmer), please report any suspicious activity to the committee as this is costing our club. Thx to Brian High who has now replaced all of our river locks except C2 which will be replaced by the 5th May . He will also be making up AAC signs for our new river stretch at Ferry Farm Thrumpton. 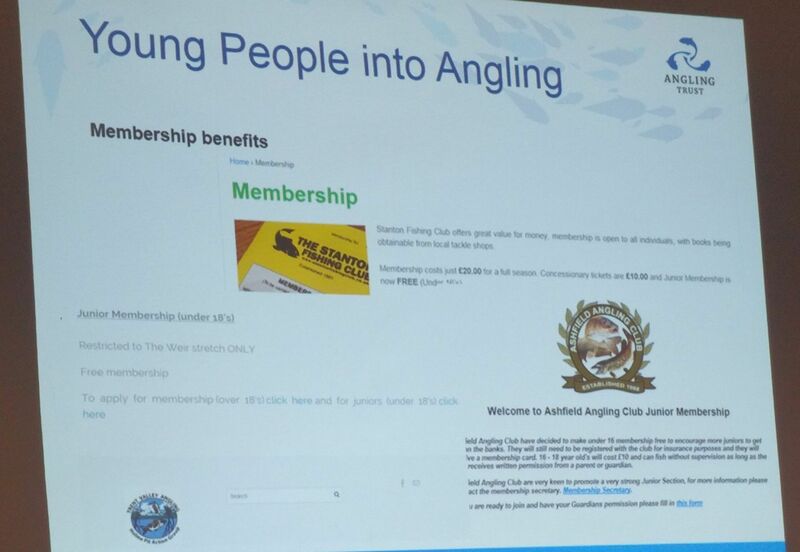 Great to see the AAC being recognised for encouraging juniors by making under 16s free at the Angling Trust /EA angling forum last night, many thx to Terry Statham Philip Turton and Keith Parkes our Bingham bailiff for representing the club there. To view the Final Club Accounts and comparison to the previous 3 years, log in and Click here . As requested by the members at the last AGM and in the interests of openeness and transparency, you can now log in and view the Minutes of the last 6 months minutes (with lease information/etc removed), to view them log in and Click here . 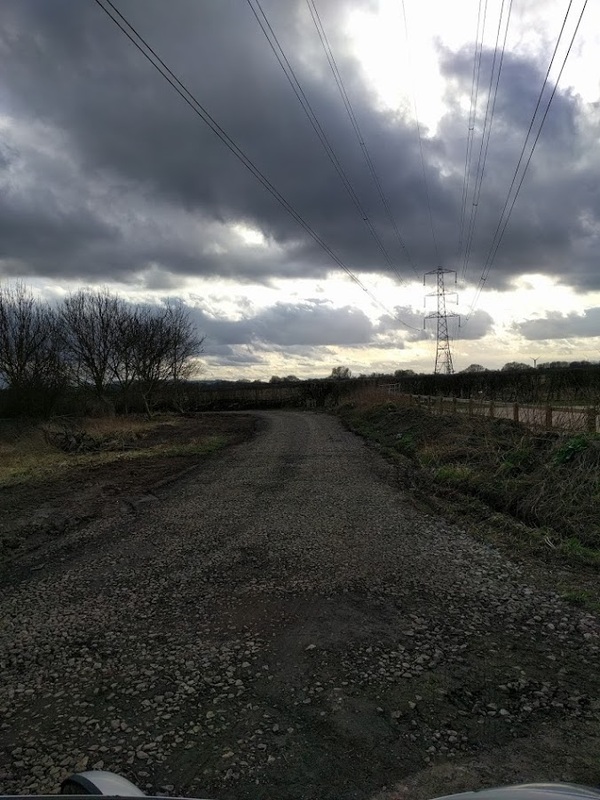 The first phase of the road improvements at Gunthorpe is now complete ready for the start of the closed season, the Land owner was very impressed with the wok - his comments are: "... I have looked over the work and feel it is a big step on from what has previously been done in the past. The key going forward will be regular maintenance in certain prone wet areas that may suffer from stone movement. Good engineering ideas to try and protect the road from flooding. I think some areas that show a little movement would benefit from a finer top surface but give it time to settle and dry before carrying out further addition of stone I would suggest. Many thanks for the confirmation of quality imported materials for a clear purpose-exactly where we want to be. Hope all goes well with your further works this spring." 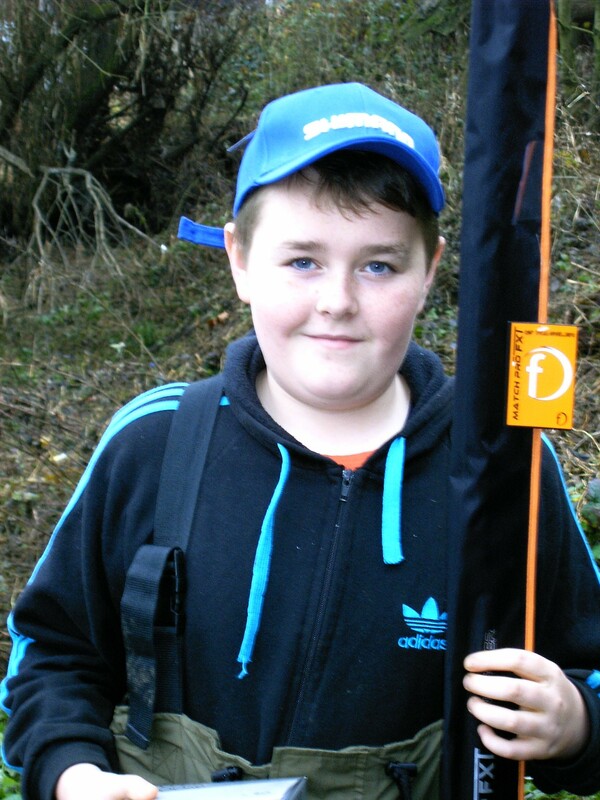 The committee have decided to make under 16 membership free to encourage more juniors to get out on the banks. They will still need to be registered with the club for insurance purposes and they will receive a membership card. 16 - 18 year old's will cost £10 and can fish without supervision as long as the club receives written permission from a parent or guardian. From Phil: "What a fantastic day and unbelievably supported guys, haven't done the tally but well over £500 raised including £160 on the raffle with prizes sorted by Robert Lawrie, Mark Fox and myself fantastic. Top day, few fish caught, 19.2, jacks and a double and bragging rites goes to lea valley and I can't believe he did not only catch a 19.2, but more importantly ran off with the bottle of captain Morgan's??. Top top day guys and thanks a million to the AAC members for the venue support"
To retain your membership you must renew before 28th Feb- to renew click here . .
From Maxine: "Today has been a really great one. Colin and I met up with Memphis and Kyle, the juniors in the photo comp winners to give them there prizes, their faces say it all. We would like to thank a few people who very kindly gave the kids those great big smiles by donating the prizes for them; you have all been very generous. Andrew Brown for the camera, Memphis was taking photos within minutes. We have two tackle shops to thank, Tony & Karen at Horncastle Angling Centre for the Shimano Reel and Shimano caps, and Tony & Wayne from Future Fishing for the 2 x Wagler Rods. Without you all the smiles on the kid’s faces would not have been possible." if you want to renew your membership early for 2017 - renewal is now open - click here . 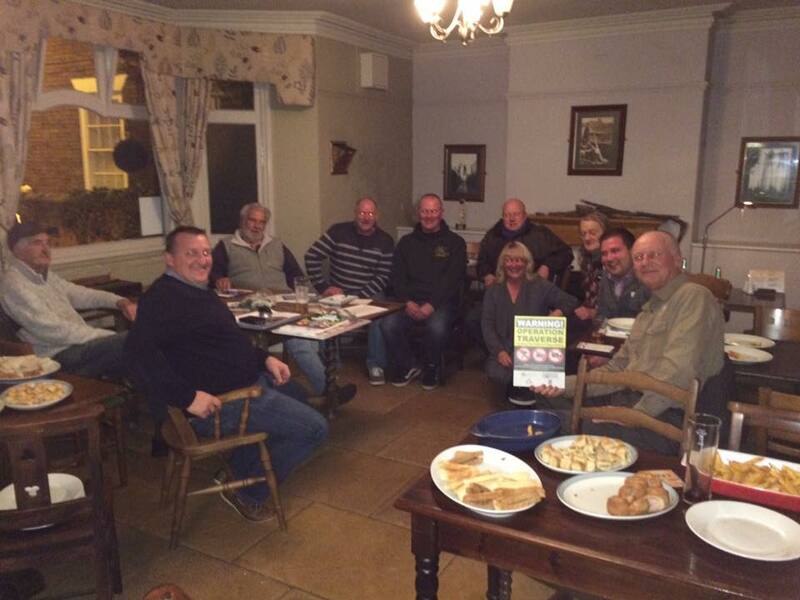 Comments from the AT: Just spent a great evening talking with the bailiffs of Ashfield Angling club in Notts. Some very dedicated people who give up a lot of their time to protect their waters on and around the Trent. VBS is there to support club bailiffs so hopefully we'll see the club represented very soon. 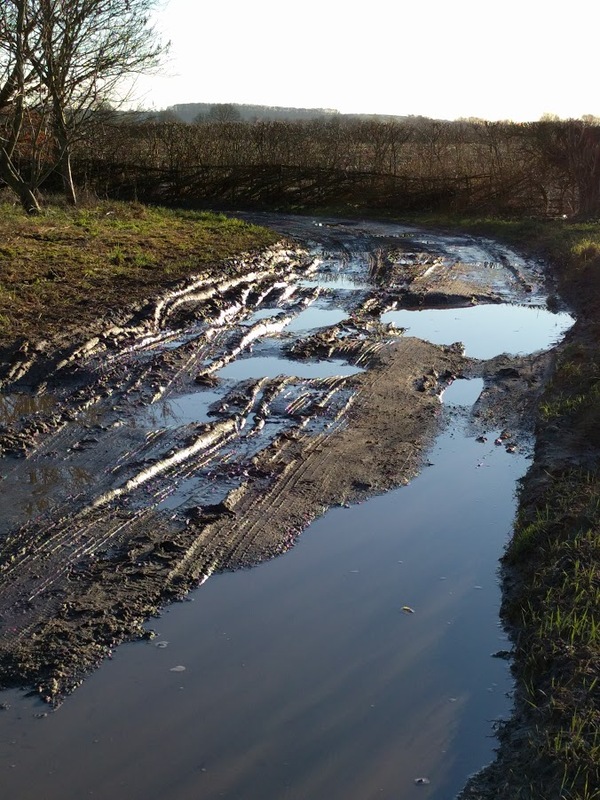 Members are reminded to not drive on the grass during wet conditions especially on Nelsons field, damaging the surface of any of our venues is likely to jeopardise the access we currently have. 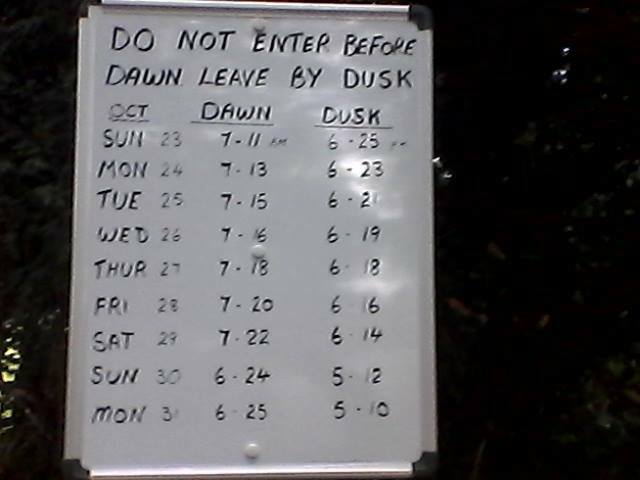 Mick, one of our Thrumpton Bailiffs, has put signs up at the entrance with weekly Dusk and Dawn times. 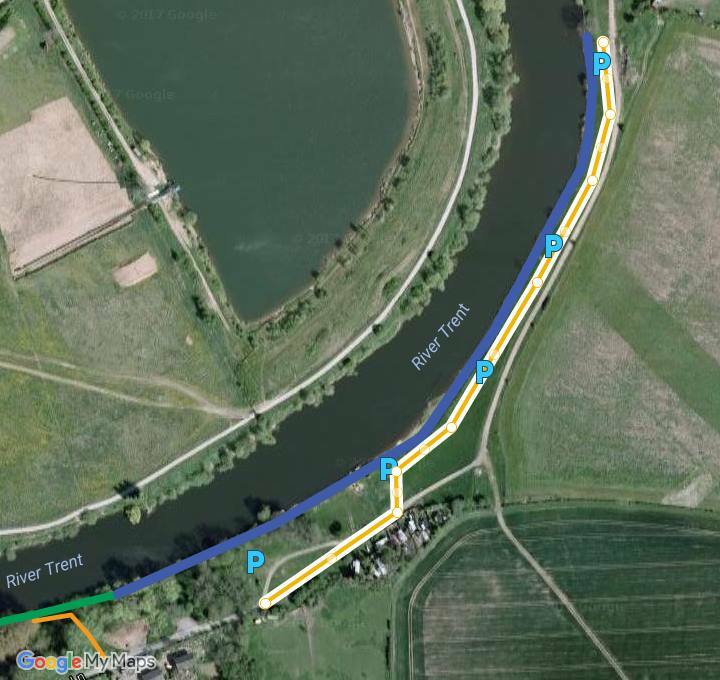 We are going to hold a work party at Gunthorpe on Saturday 24th September at 9.30am We would like if possible as many willing volunteers to turn up, as you all know it is a very large complex. The work that is needed is vegetation cut back i.e. strimming, hedge/bramble trimming, grass cutting and of cause any litter discovered picked up. We have some petrol equipment but if you have any at home please feel free to bring it along, we will provide petrol needed. Tea/coffee and bacon butties will be provided. Maxine and Colin. VERY IMPORTANT KHV NOTICE- ITS NOW AT COTGRAVE!!! 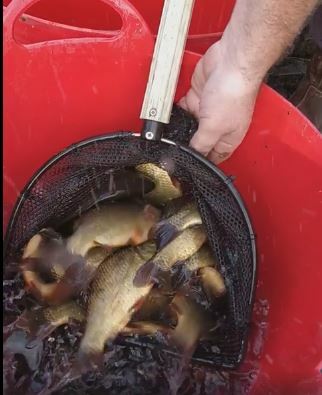 We have taken advice from the Environment Agency and due to the recent local KHV outbreaks in Leicestershire and South Yorkshire we will be banning the use of keep nets from all of our still waters until further notice. All landing nets, weigh slings, carp sacks etc. must be dry before being placed in to the water, preferably via sunlight. Please also be aware that damp stink bags can also carry the disease. It will be treated as a very serious offence should this restriction be broken due to the danger presented to the health of our fish stock. Thank you for your understanding, hopefully we will be back to normality in the near future. Notice to members: Please ensure that you have a valid EA Rod licence. 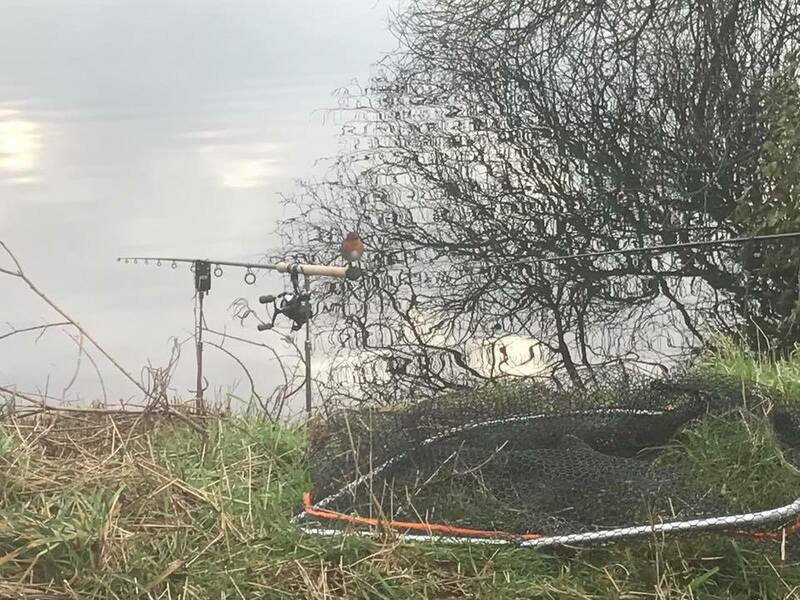 Unfortunately we have had to inform a member that they have been dismissed from the club after they were caught fishing without a valid licence. This reflects directly on the reputation of our club and is therefore treated as a serious breach of club rules. Please see the noticeboard about important access information for this week and next week. We have had an official complaint from the canal and riverside trust relating to speeding at Cromwell - 2 Cyclists were almost knocked off their bikes by a motorist doing approximately 40 MPH. This may not be a member of our club however we would ask all members to travel at the 10 MPH speed limit down there. From Mick Romih: Hi lads, I have had a chat with Brian about the Soar stretch, and he agrees that a bit more work needs doing. 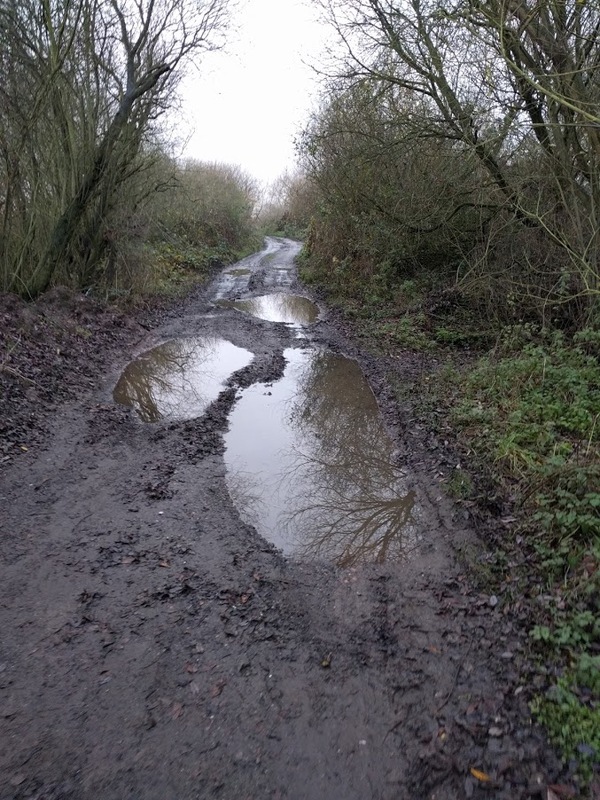 Next Sunday at 9.30am, 5th june we will have a go at filling some of the pot holes and cutting a few more branches, If you could spare a few hours to help I would appreciate it, if you have a shovel ,rake, garden rake or wheel barrow or anything you think might help that would be brill. 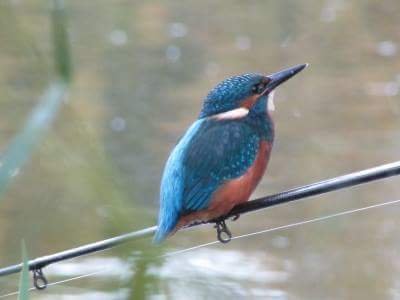 The Ashfield Angling AGM was held on the 22nd May, The committee was individually voted on by the members with the inclusion of two new committee members and the departure of one committee member, the updated committee can be found on the committee and bailiffs page. The committee are considering a number of suggestions to improve our club and will be providing an update on progress shortly. Work party at CROMWELL on sat 28 May and 29 May to repair steps and swims pegs 1 to 4 please let Ian Wilson know if you can attend Ians Phone Number is on the noticeboard. 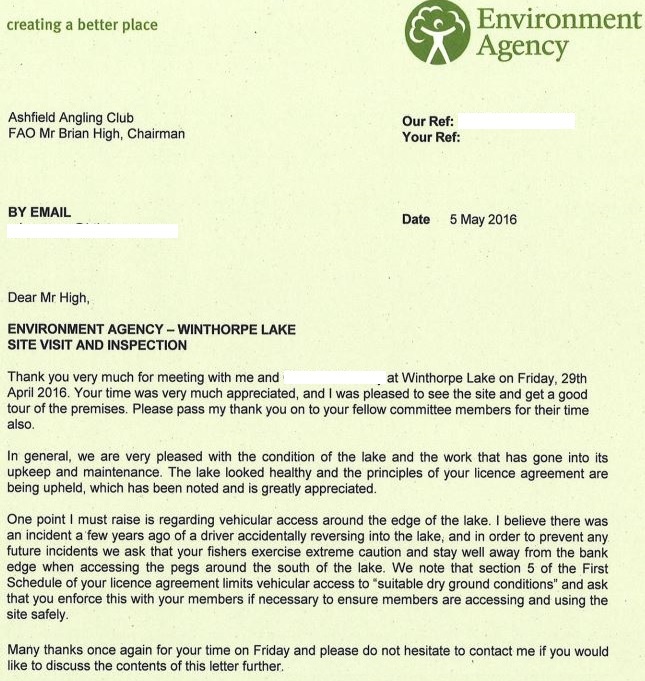 Fantastic news from the EA fully endorsing all of the hard work done at Winthorpe. Fantastic news from the EA who have fully endorsed all of the hard work done by Ashfield Members at Winthorpe. 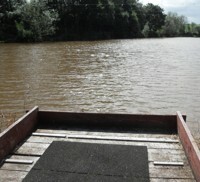 "We are very pleased with the condition of the lake and the work that has gone into its upkeep and maintenance... The lake looked healthy and the principles of your licence agreement are being upheld which has been noted and is greatly appreciated, " ...Just be careful where you drive :-) Huge well done to all involved!!! 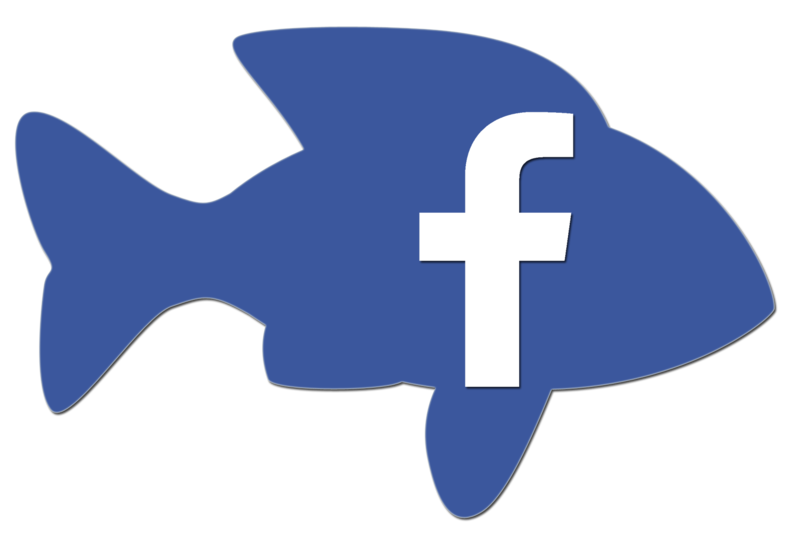 The official site can be joined by following this link, and it contains the latest up to date details of up coming events including work parties, AGMs, future social events, how our waters are fishing including tips, voting for the "free membership" picture competition and an interactive map of all of our waters plus much more. 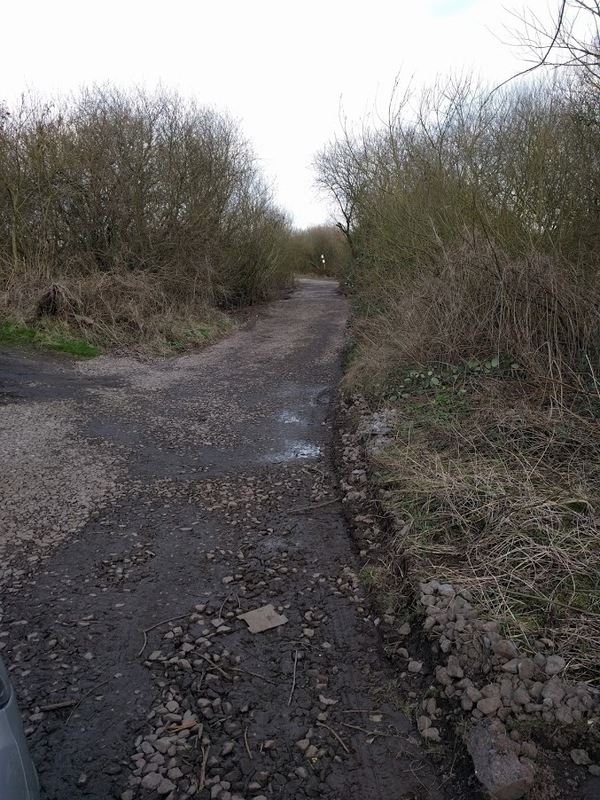 Working Party Winthorpe 2nd April JCB involved if we get enough members out - Can you help? 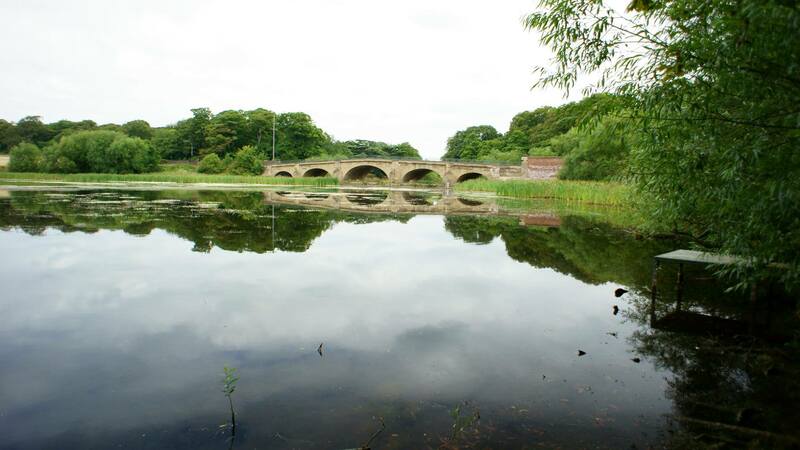 All River Fishing is now Closed until June 16th - No coarse fishing is permitted on rivers, streams and drains between 15 March to 15 June inclusive, and anyone found fishing illegally faces prosecution and a hefty fine from the EA. Our lakes are of course still open for members only. 2. Report the incident via 999 State that this is an OFFENCE IS IN PROGRESS under the "Fishing without permission is a Schedule 1 Theft Act 1968". 4. Then call the EA on 0800 80 70 60 give them the CRIME NUMBER, you should also get an EA Incident number. If you are reporting this after the event, use 101 not 999. If you come across any fixed lines, do not remove them, report it to the EA on 0800 80 70 60. For Ashfield Venues please also inform the Club Chairman. The Membership Secretary will be in touch as soon as you are "on offer", keep an eye on things here. If you become a member you must read the club rules. ACCESS UPDATE - there is a new locking system at Burton Joyce on the new gate at the entrance to Nelson Field. 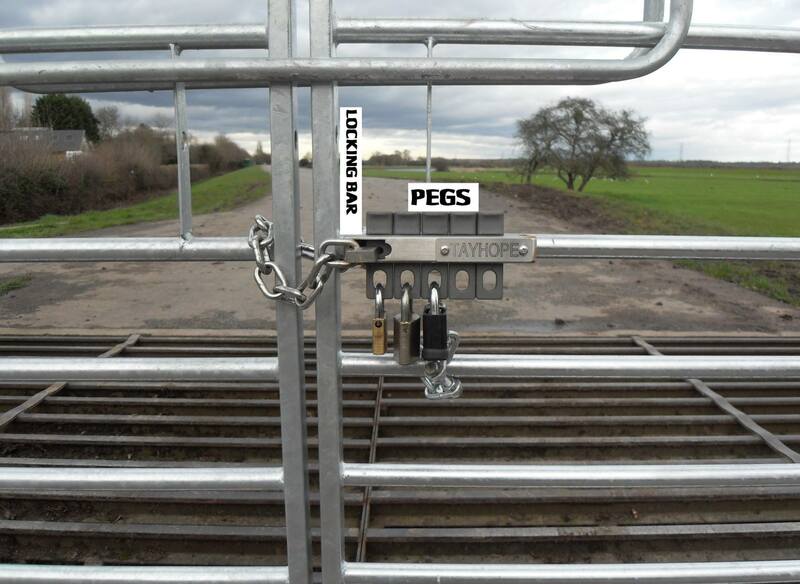 all you do is take off our lock remove the peg by lifting it out and move the other pegs to the right then take out the locking bar and you are in. Thanks to all the members who have renewed, final processing is now taking place - New Membership places will start to be offered shortly - The Membership Secretary will be in touch soon, thank you for your patience. 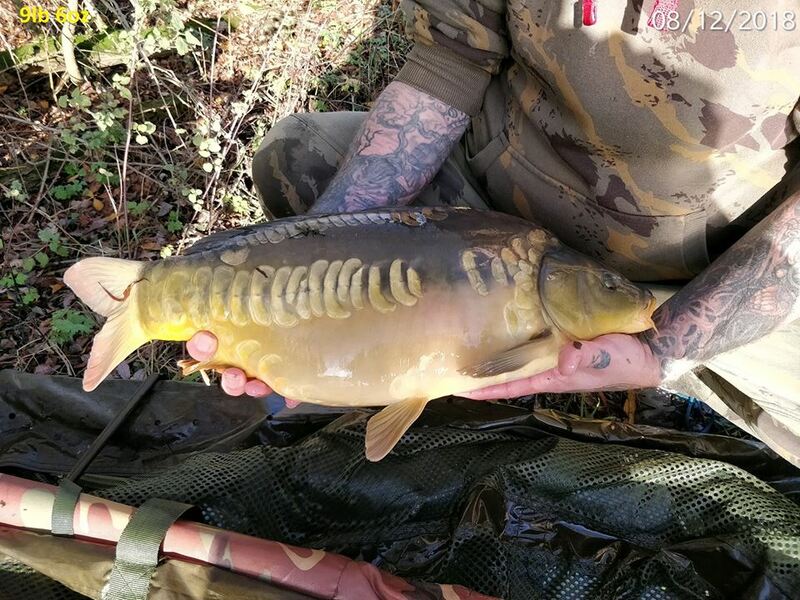 It wont be long before places will be offered to people on the waiting list, this club has some fantastic waters and you wont be disappointed when you join and get the chance to try and land one of our many natural Specimen Fish. Waiting list processing starts next week, we will be in touch as soon as you are eligible. Cant Login? How do i Join? When is the Renewal Date? How do Junior Members Join? Where can i fish on a day ticket? ...etc take a look at the new Q and A Page. You can fire questions through to us as well. We have received excellent feedback so it looks like this event will stay, the only downside, Maxine and Colin didn't have chance to have a chat with you all. Once again thanks to all that turned up and to Maxine and Colin for what turned out to be a great event. Update 07/02/16: Rivers are on the rise again - keep an eye on the bailiff reports and Noticeboard for the latest info. Be especially careful parking on grass banks - if in doubt don't attempt to park on banks at the moment - your safety is paramount. We have come up with what we think is a good idea, hope you agree. On Saturday the 6th February from 12.30 till 3.30 we are going to hold a membership payment day. You can come along and renew your membership for 2016-2017. Maxine will print your card while you wait. You can have a pint (or two) and chat with other members, even if you have already renewed it would be great to see you there. 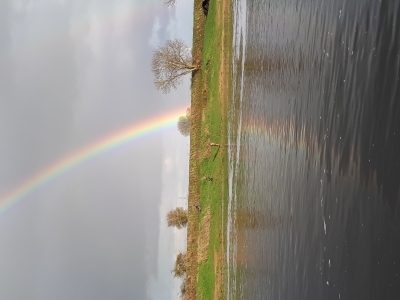 Click on the picture to look at the 2014 EA River Trent Fish Population and Location Survey, this relates to a number of our sections on the Trent. Update 16/1/16: the river has gone down a lot and the lakes are not as flooded but you still can't drive all round them. Update 18/1/16:River is still high, cannot see any of the gravel beach yet. Anyone wishing to fish above the booms forget it. there is no access under the bridges for another two weeks. they are under the process of making a new road under one of the arches. the other two have been blocked off. The wet grass is still a problem so parking just off the road can be a real problem, best to walk from the village. update 19/1/16: water levels receding, access around left hand side of Dollar O.K. to drive on, but right track very soft and not safe to be used until dried out a bit more. No vehicles to be taken on the grass areas at Cromwell as now too wet. Park in the car park. 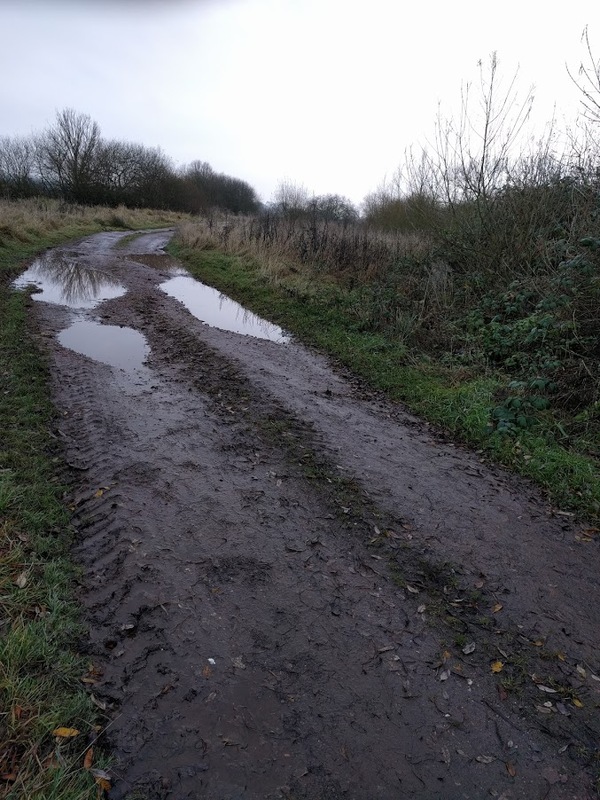 Winthorpe Warning: Message from Dingo Bear The Trent bank is very very wet please be careful and don't use the same tracks all the time as it gets very cut up, if this happens we will have to close the gate. Warning to all members one of our members had his fishing tackle taken from his car. The thieves broke into his car by breaking a window. 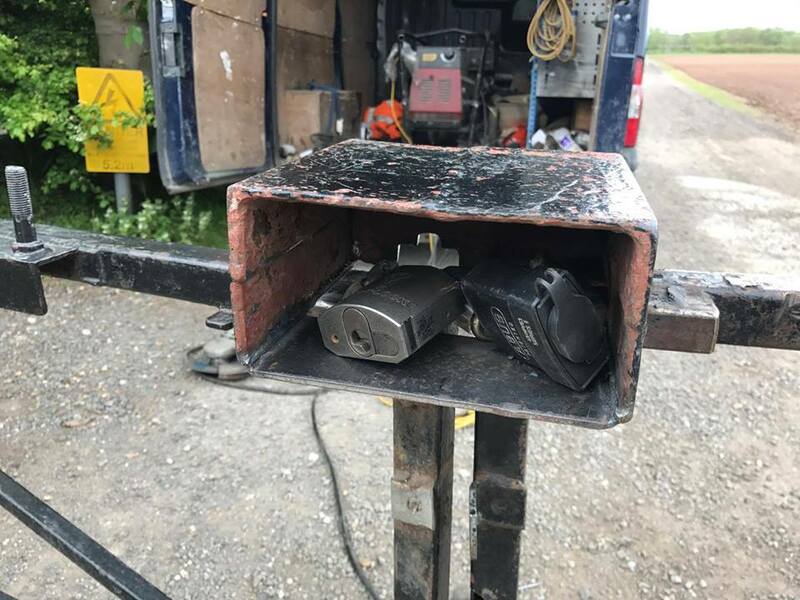 The thieves were on quad bikes. 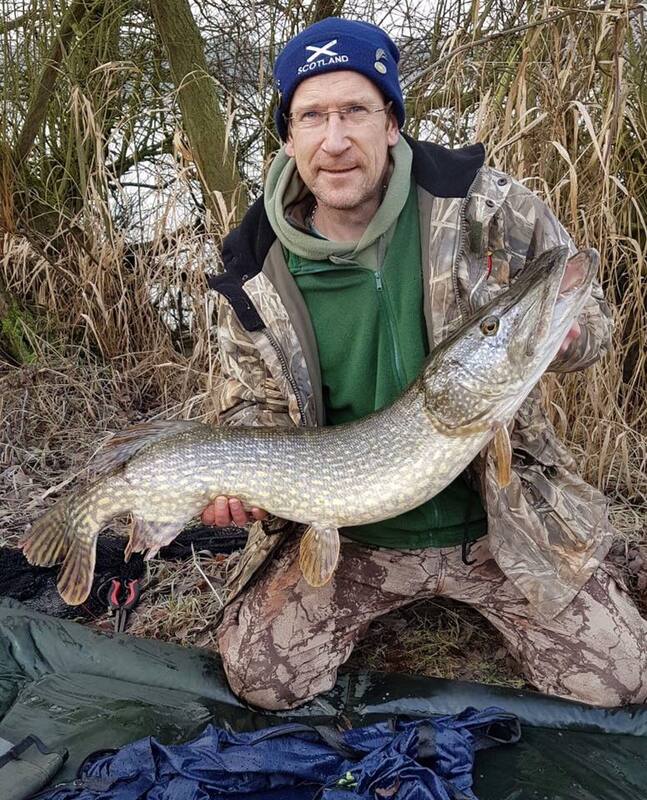 The member was fishing the river Trent in Newark on Newark piscatorial section of the Trent which he is also a member of. Club Photo Competition Voting--- !! !VOTE NOW!!! The Photo Competition for this year is ending on the 20th November, Its really easy for members to add photos to our Photo Album, these will automatically be entered into the Annual Club Photo Competition, just log in and click here. 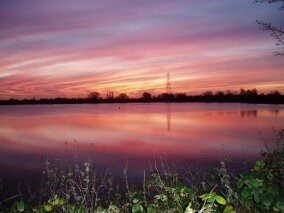 The winning image will be on next years members card and the winner will receive a years free membership:-). There will be a work party at Winthorpe on Saturday 24th October starting 9am, the work will involve improving the pegs. All welcome. 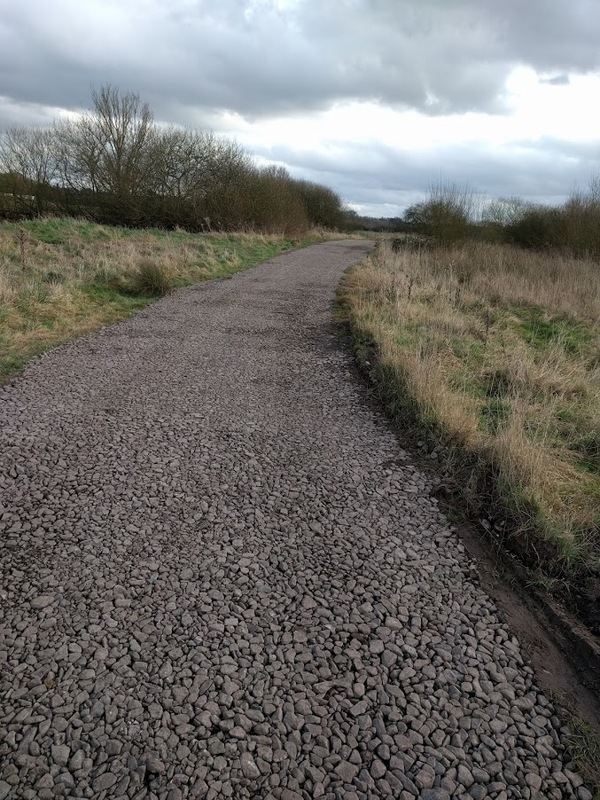 There will be a work party at Winthorpe on Saturday 10th and Sunday 11th October starting 9am, the work will involve improving the pegs on the spit, the peg will be made higher and filled in with gravel. All welcome. Cromwell and C2 will be closed on Sunday 27th September out of respect for the service men who lost their lives at the weir on a training exercise in 1975. There will be a memorial service taking place from 1 O’clock at the weir. Our thought and prayers are with these men and the loved ones left behind. 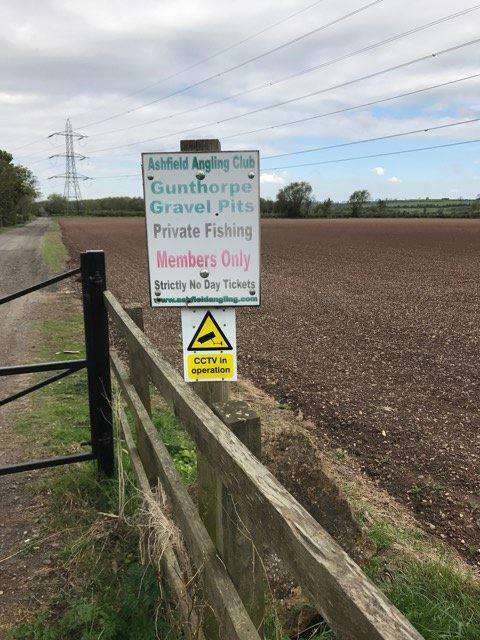 There will be a work party at Winthorpe on sunday 27th September starting 9am, the work will involve improving the pegs on the spit, the peg will be made higher and filled in with gravel. All welcome - this is a great venue. 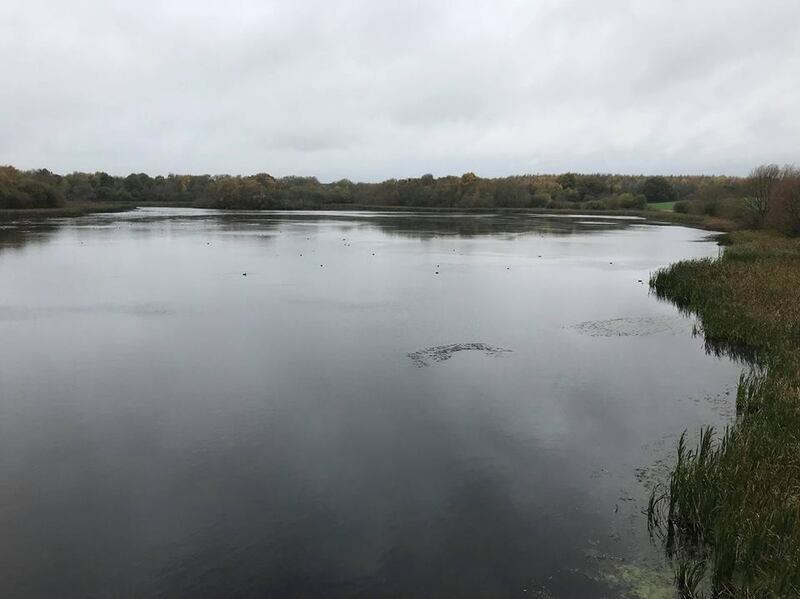 Note from the committee: "The committee have granted the Severn Trent Farm Manager exclusive use of Tench lake this Saturday 12/9/15 from 9-3 for himself and some friends, this is for the fantastic work he has done for the club recently. 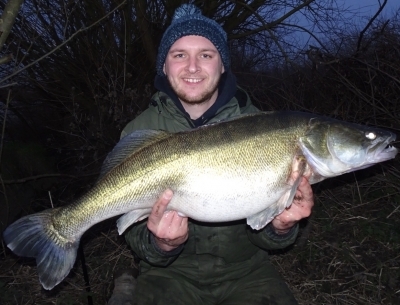 Therefore members are requested to not fish the Tench lake during this period. Many thanks." There will me a meeting at Winthorpe on the 12th September at 10 o'clock to discuss pegs and work to be done, all are welcome to come along and have there say. If you are unable to come due to other commitments please e-mail Brian or Maxine and your opinions will be taken into account. 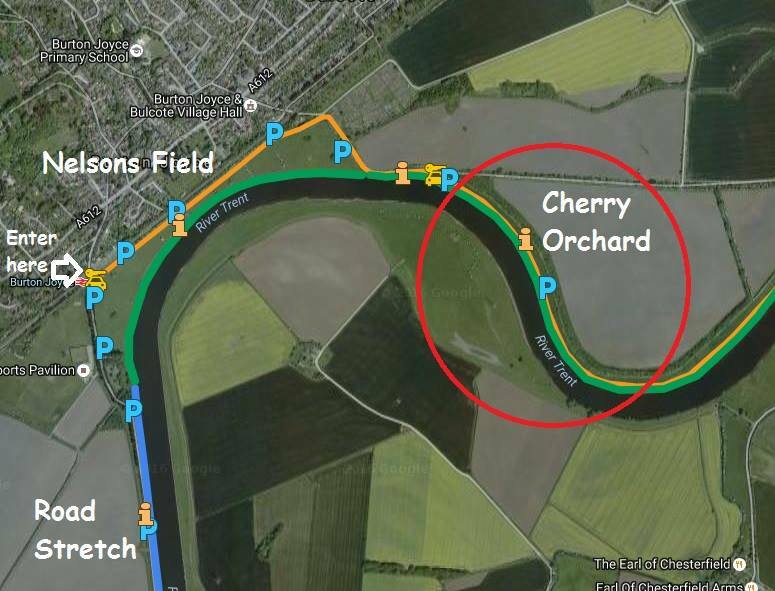 Many thanks to all of our members who assisted in the Work party on the 23rd August at Cromwell 2, many pegs have now been opened up for all members to enjoy our great new stretch of the tidal Trent. Ashfield Angling Club are very please to announce the addition of an excellent new river section at Cromwell, see the Cromwell Venues Page and interactive map for further details of this fantastic venue. We can now fish this but we have access issues as the farmer has ploughed up the track, this is being looked at, so a walk is currently needed. Login and look at the Noticeboard for details. Our Club Membership is now full, if you wish to join please add yourself to the waiting list for next season, thank you for your patience. 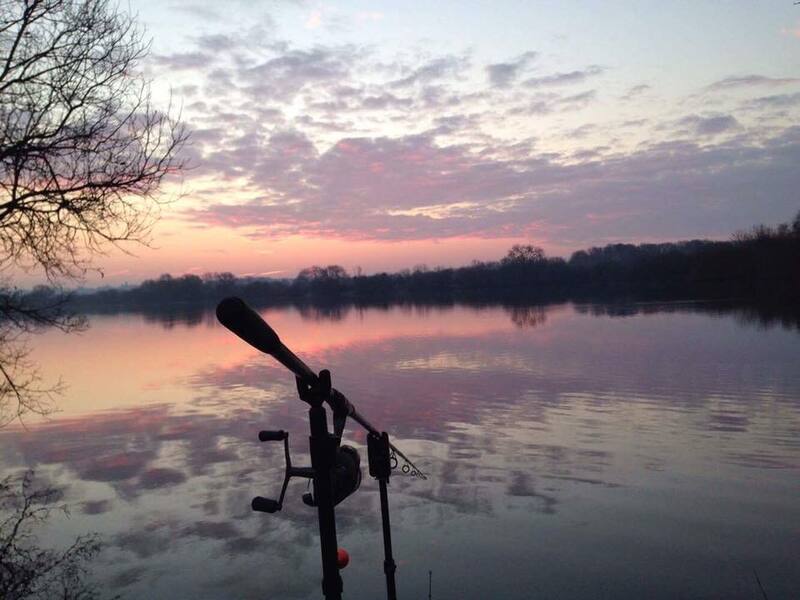 Our Club Predator Fishing Rules have been updated as requested by members at the AGM (along with a few other tweaks), for reference there is a link to the previous version of the rules at he bottom of the Rules page. Its really easy to add photos to our Photo Album, these will automatically be entered into the Annual Club Photo Competition, which will be judged in mid November, just log in and click here. The winning image will be on next years members card, oh and the winner will receive a years free membership if you win :-). Its really important that you get a crime number and follow the procedure on the Club Venues Page the police are being monitored on their performance with this issue, but ONLY if you get an incident number. Members are reminded that Access gates MUST be closed behind them, members not following this simple rule are likely to lose their membership status instantly. There has been an incident recently where cattle could have ended up on a very busy road. Please report any breach of this rule directly to the Club Chairman. 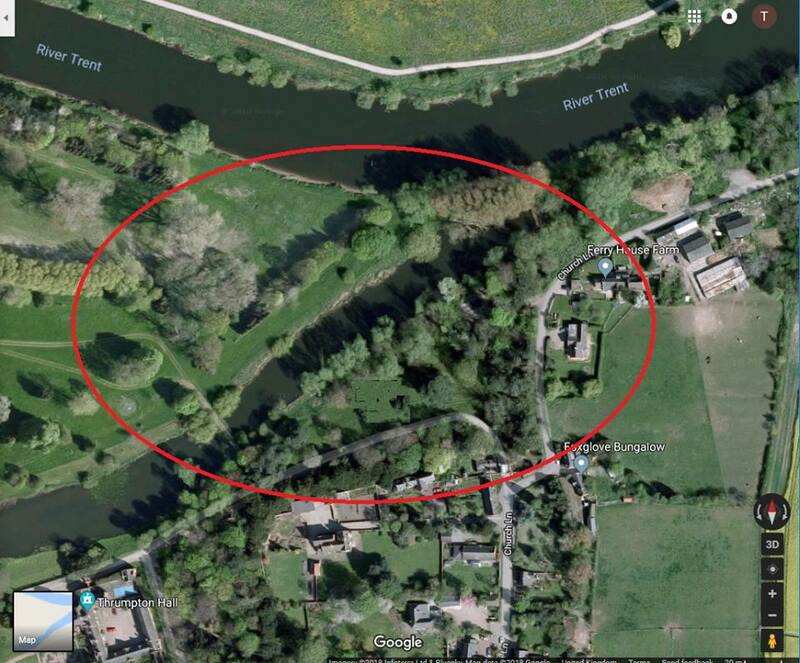 New Rule 17/5/14: Tench Lake (Small Lake) is now limited to a maximum of 2 Rods and Keepnets are not allowed. 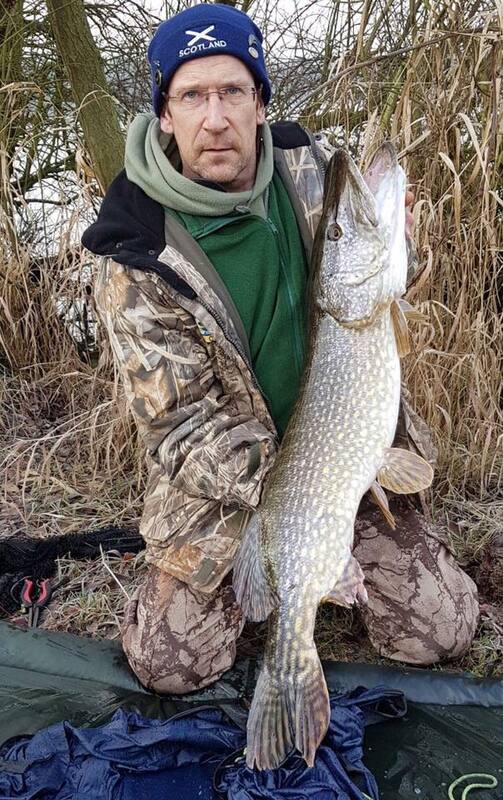 The Ashfield Angling Events Calendar has been added to the Noticeboard and Working Parties Pages, please visit these regularly to check on upcoming work parties and other events. AGM Minutes are now available, please log in and click on the AGM Information page. 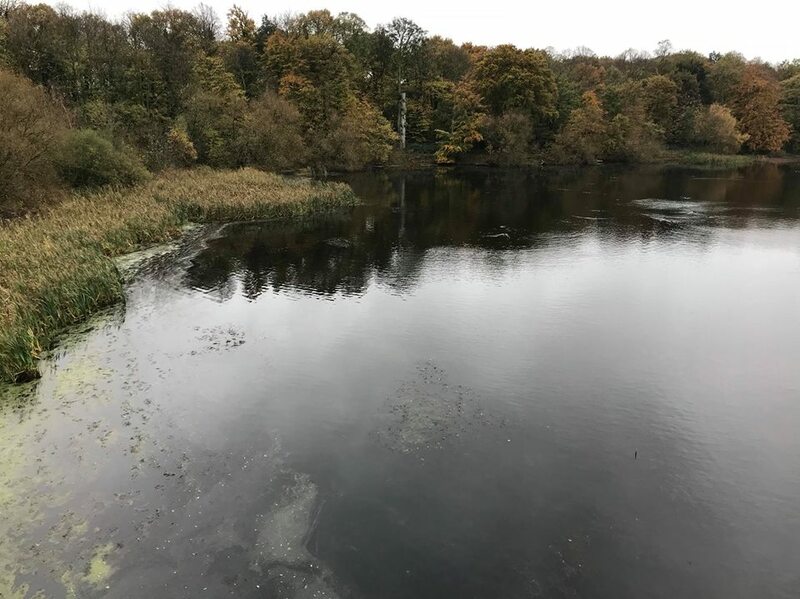 A veteran Bingham Angler has sent in the following praise for the recent work carried out there: "Hi I just wanted to take this opportunity to thank you and congratulate you for the work that has been done on Bingham pond I've been fishing it for around 10 years and have witnessed how bad it has become. Seeing your work clearing the trees and rubbish has made the pond look so much better and has made a massive difference. I am sure once all your work is done it will be an amazing pond again. Yours thankfully Adam Donze" Its nice to know you are making a big difference to our waters.. keep it up :-). Our Gunthorpe bailiff has reported that on several occasions there has been a number of bags full of rubbish deliberately left hanging in trees. Please report any incident of this nature directly to the club. Be assured that anyone found not taking their litter home runs the risk of losing their club membership. The online payment system is now available for New Members, Renewing Members, Junior members, Guest Tickets and Lost Cards/Keys, we are now using Paypal, you will not need a Paypal account, you will be able to pay with all major credit cards. Please ensure that all applications go via the updated Club Membership Page, unfortunately people are still sending applications to Tony, these will not be processed. 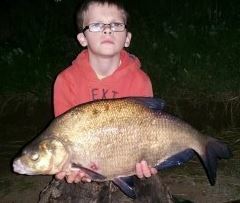 Bingham Pond details have been added to the website - follow this link. Please send any decent photos of the pond you have to the Web Developer for the website. The committee have decided that new members will no longer have to attend a working party in their first year or pay a "Working Party Levy" in order that they are allowed to continue with their membership. 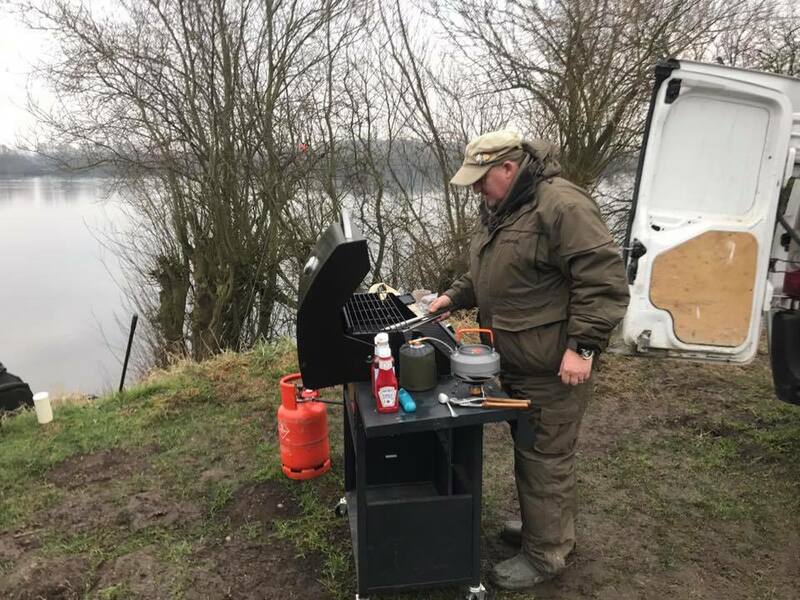 Members are very welcome to join working parties and will get the opportunity to mix with other members, get a better understanding of the waters and how they fish and help maintain the waters as a bonus. Come along - you'll enjoy it :-) see below for details of the next one.